Do you have special activities to do such as measuring and predicting the weather? Well, the presence of Ambient Weather WS-1001-Wifi Observer seems to be very helpful for you. It is a device that will be used as your powerful weather station because uses Wireless WiFi Remote Monitoring. It comes with so many special abilities that are not available to be got in the other product of weather monitoring system. The first thing you will realize is that you do not need and electrical supply for the item. It uses the solar power to give the main power supply of the device. 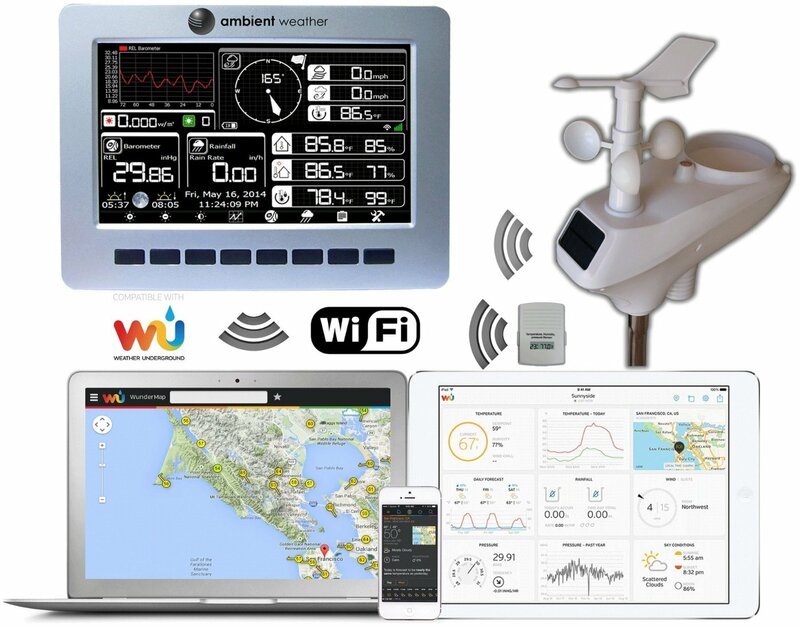 To ensure the ease of operation and management system for the owner, it also has the special element of features that will allow you to control the weather station through Wi-Fi. You do not need to always stand in front of the device all day long. It is completed with the accurate reading of weather. The transmitter is using 915 MHz so it is pretty clear and safe. With the display console which is user friendly and easy to read, you can use this device properly. 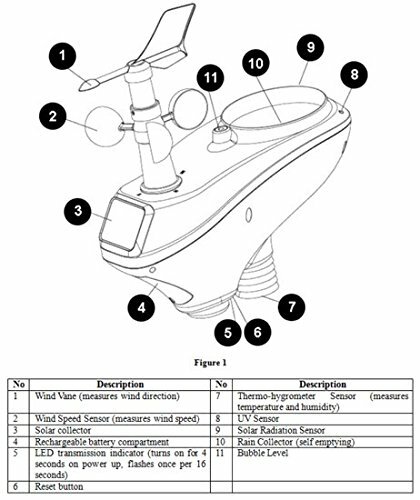 It also comes to measure many things such as the temperature, humidity, rainfall, wind speed, UV and many more. It will be an advantage for you to choose the device because it can gain the spacious reading mode. This reading mode is pretty accurate. 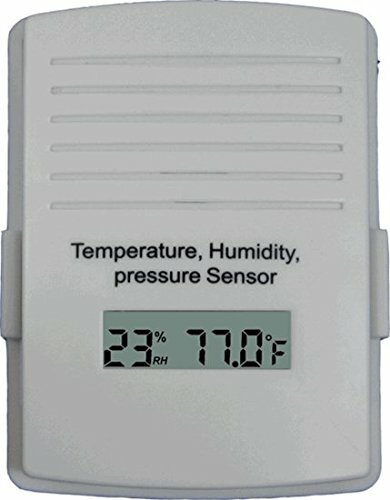 You can also check the temperature, barometric and also the humidity of indoor area as well. Although the device brings tons of advantages, there are also some disadvantages such as the presence of monochrome display on the screen. Although the purpose is to keep the battery usage, it does not so cool for such a user interface. The fonts and information are also in the form of small font which tend to be harder to be seen. 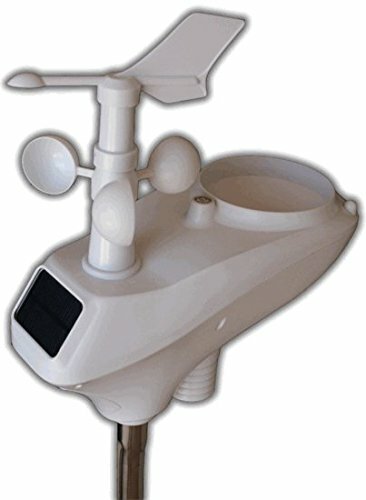 Purchasing this weather station is a worth idea for anyone. The offered price is very valuable to be compared to all of the features that you will get. The capability of measuring indoor and outdoor area is one of the aspects that cannot be found in the other weather station system. It also has the impressive dew point or rainfall which is performed in the type of graph. It makes the reading and the comparison of the measurement is easier. 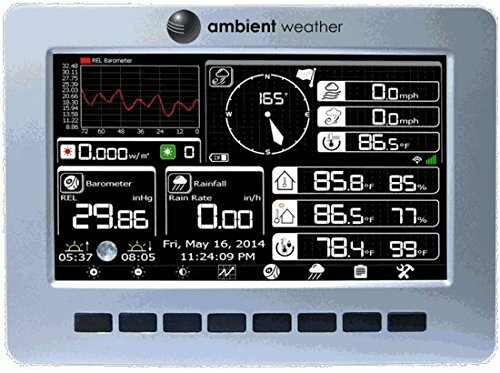 In short, this Ambient Weather WS-1001-Wifi Observer is your best partner in detecting the weather changes in rapid needs.